Previous post: Year 5 & 6 cross country. Next post: Merit badges have arrived! A reminder that tomorrow we will be having a Harvest assembly and taking the produce that you bring in to a local food bank. Some ideas from the food hub can be found in an earlier post – but remember preferably no baked beans or pasta! Hello Year 1. 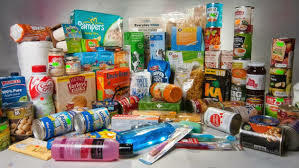 Here is a post from the main school website letting you know that if you bring a food contribution for the Harvest assembly tomorrow, you can wear your own clothes to school. Reblogged this on Selsdon year 6 .